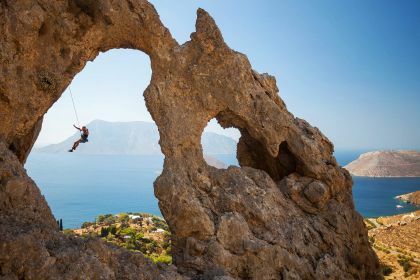 Known for its fantastical rock formations and dramatic mountains, Kalymnos is a dream destination for hikers and rock climbers — it even boasts an annual climbing festival. But there’s so much more than its celebrated climbing. Think of centuries-old shipwrecks, enchanting caves, pristine beaches and picturesque villages. There are also idyllic spots for scuba diving and spelunking enthusiasts. Located in the southeastern Aegean, Kalymnos offers exhilarating adventures for yachting enthusiasts. 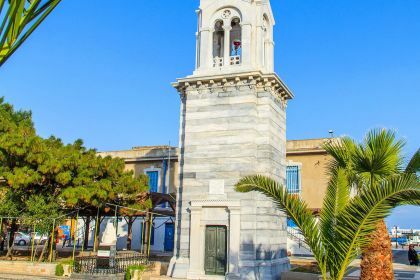 Lying between Kos and Leros, it is separated from Leros by the narrow channel of Stenon Lerou. Its coastline is mostly steep and rocky, with many coves and inlets, ideal for a tantalising sailing holiday. The locals live partly by fishing for sponges in the southeastern Med and processing them for export. The departure and return of the sponge-fishing fleet in April and May, and September and October, are celebrated with traditional festivities. Try and coincide your sailing trip with one of these fascinating events. Kalymnos’s rocks come in all shapes and sizes, arches, caves, tufa columns, overhanging crags — it’s truly spectacular. If you’ve never climbed before but would like to try, safely and cautiously, the teams at the Kalymnos Climbing School and Kalymnos Climbing Guide are on hand to help. The mountains on the northern side of Kalymnos feature the most popular climbing spots, as does the neighbouring island of Telendos. 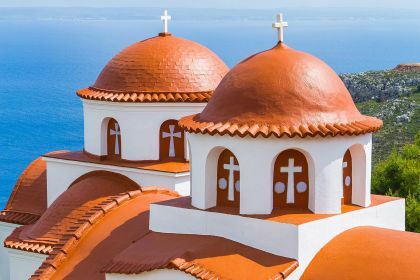 There are many stunning churches and places of worship in Kalymnos, too, but if you are short on time, ensure you don’t miss the Agios Savvas Monastery and the tomb of Agios Savvas (Saint Savvas), which is said to have the healing powers. Kalymnos’s biggest and most beautiful beach is Platys Yialos. It’s pristine and sandy, and the waters lapping the shoreline are shallow and luminously clear — ideal for swimming. If you’re keen to indulge in some underwater activities, head north to the Kalavros reef to explore its rocks, wooden wrecks, majestic caves and colourful marine life. As it boasts several fishing villages, Kalymnos is specially known for its lip-smacking array of the freshest fish and seafood. Local delicacies include octopus keftedes, the typical mermizeli salad, sardines on the barbeque and fried calamari — rich in spices, textures and flavours. Highly recommended waterfront taverans include Kyma, the Aegean Tavern and Stukas Taverna. 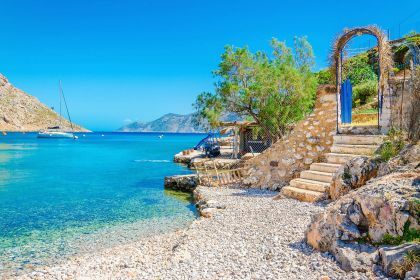 Insider tip Make sure you get to Telendos Island, just off the west coast of Kalymnos. Weigh anchor, head off and within just half an hour you’ll be rewarded with crystalline water and stunning sunsets.